12 Year History – Recurring Customers – HUGE Industry – GROWTH OPPORTUNITY! 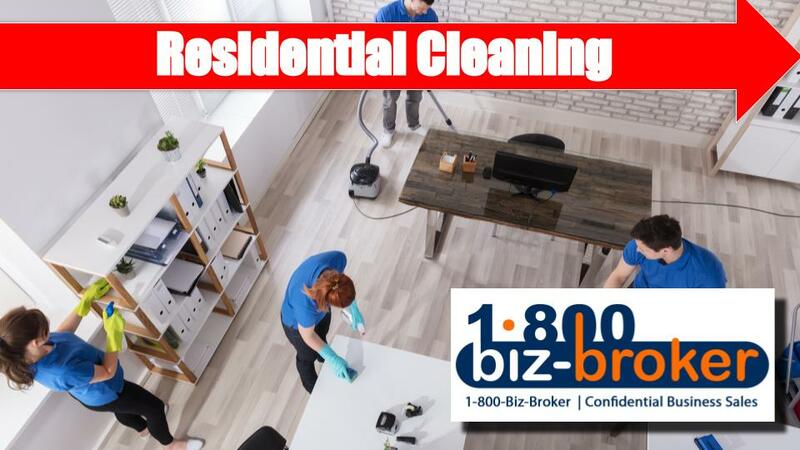 Very Established (12 Years) Residential Cleaning AND Carpet Cleaner! Residential cleaning is a $10 BILLION Industry and expected to grow by 16% by 2018. • recurring cash revenue baseThis business currently serves over 240 clients monthly and has hundreds more in its database. There are 9 employees that handle the work… owners do not clean homes! Managed by a husband & wife team out of an office in Corona, CA. Can be relocated or even managed from your home. Sale includes 3 vans, trailer with carpet cleaning machine, other misc cleaning equipment, and supplies … this is a turnkey business. You will be trained by the sellers. Another quality business represented by 1-800-Biz-Broker!